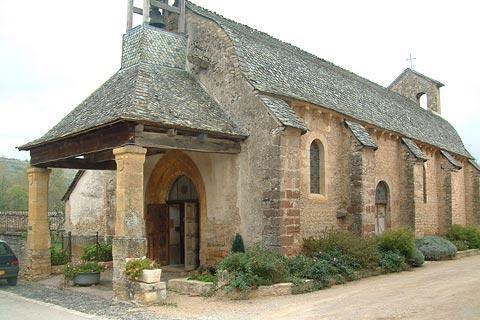 Saint-Come d'Olt is a village about 25 kilometres north-east of Rodez, in the Aveyron department of the Midi-Pyrenees on the banks of the Lot River. 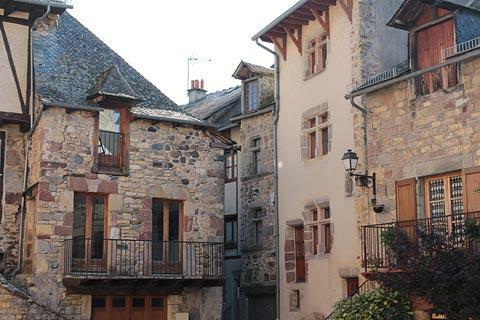 The village is classed as one of the 'most beautiful villages in France' and is on the popular pilgrimage route that leads from Le Puy-en-Velay to Santiago de Compostella (in Spain). France This Way comment: the more recent boulevards that surround Saint-Come d'Olt rather hide the medieval centre but when you discover the historic area you will find it to be a very pretty village, and well worth a visit if you are in the region. The village has a simple layout, unchanged for several centuries, with a circle of houses surrounding a central church and square. The ring of houses also originally helped provide the fortifications of the village. 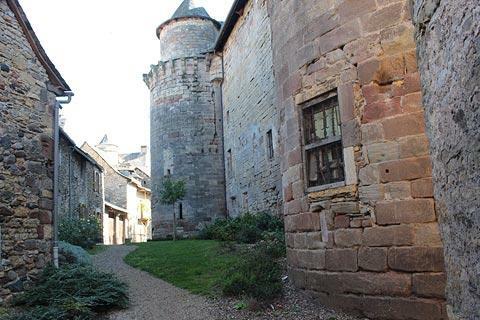 You can enter the historic centre of Saint-Come-d'Olt through one of the original gateways through the fortifications: these are the Porte Neuve, the Porte Malimande and the Porte Theron (the first two are original while the third is a reconstruction, identical to the original gateway). 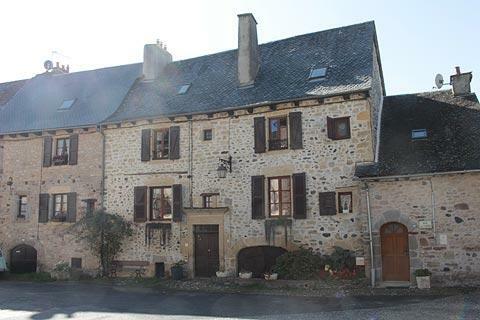 This part of the village is very compact and has lots of attractive medieval buildings squeezed in to the small space around the church and the surrounding streets. 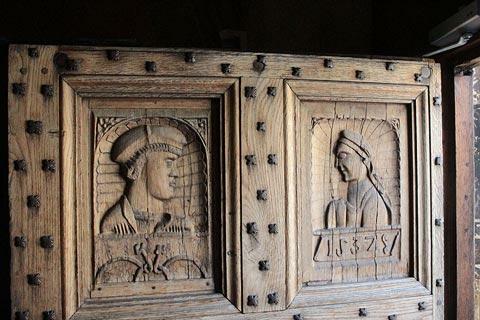 Before entering look at the heavy and ornamented wooden doors and statues in the entrance: the doors feature beautiful carvings in their top panels. Inside the church there are several interesting artworks and sculptures, from the 15th century onwards. 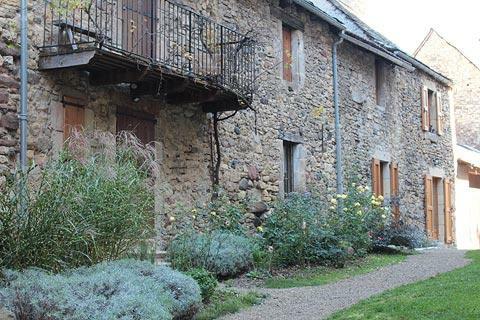 The other main building in the centre is the Chateau de Castelnau. 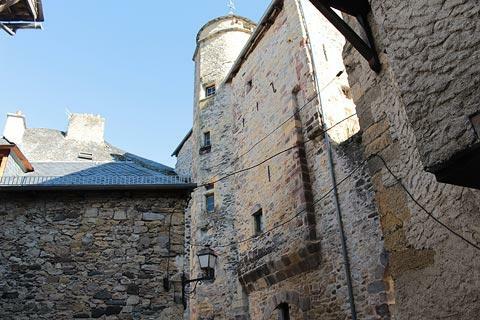 The castle was built in the 12th century, the towers were added in the 14th century, and the building was substantially modified in the renaissance style during the 15th century to make it more comfortable for living in. 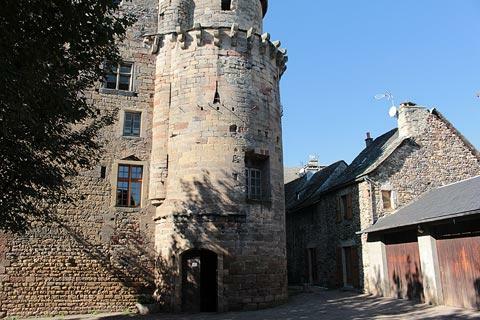 Apart from the towers it has the appearance of a manor house rather than a medieval castle, in part because the southern face of the castle was rebuilt in the 19th century when it was in use as a religious centre. 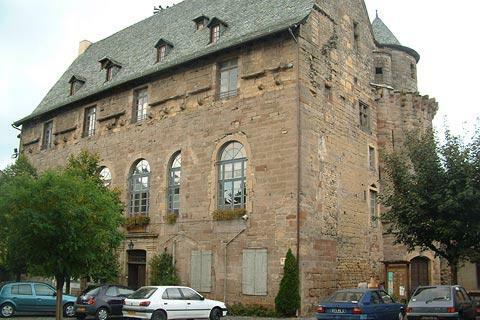 The castle is currently used as the town hall for Saint-Come-d'Olt. 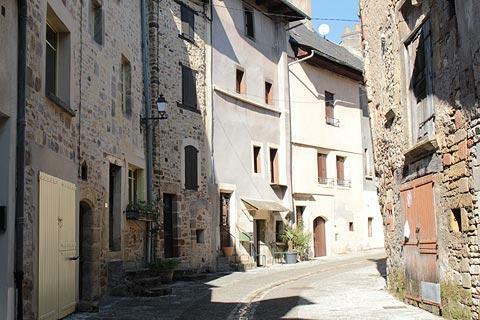 Outside the historic centre, you will fnd various shops and restaurants along the broader streets that encircle Saint-Come-d'Olt as well as plenty of parking spaces. Stroll down to the river and cross the bridge for a nice view back across the river and rooftops of Saint-Come-d'Olt. You can also see the Chapel of Penitents on the edge of the village. This roman style church was originally the main church for the parish, and the destination for pilgrims passing through. The porch and small belltower are more recent additions to the chapel (15th and 18th century respectively). Just along the Rue de la Bouisse from the chapel is a small memorial called the Ouradou. This was erected in tribute to those who died when the plague arrived in the village in 1586, killing three quarters of the population. After exploring Saint-Come-d'Olt take a drive up the hill opposite to see the 'lava flow' - a curious sight, where an enormous 'river of rock' spreads down the hillside, surrounded by trees and fields. A very unusual and interesting sight, a nice picnic spot alongside, and your children can enjoy clambering over the massive rocks! 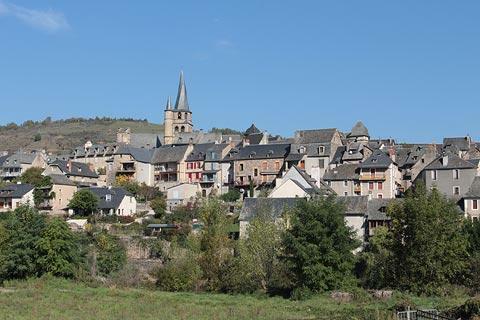 There are numerous other villages in the Lot valley and surrounding countryside of the Aubrac region - among those close by in the Lot Valley you can visit Espalion, Sainte-Eulalie d'Olt and Estaing (the last two are also classified among the 'most beautiful villages of France). 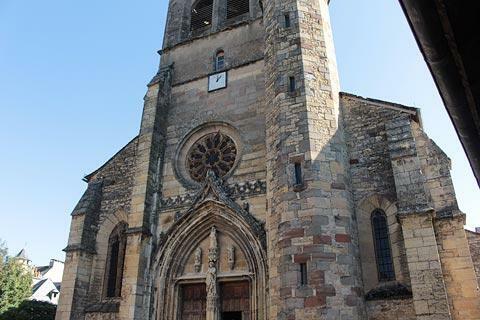 A little further west but worth the journey is Conques, another pilgrimage centre.